Putah Creek is finally fishable! The creek dropped to 500 CFS a few days ago and is currently sitting at a stable 480 CFS. The flow trend shows the creek dropping but it may rise soon to meet its summer flows. The summer flows are tough but I'll take 600 CFS on Putah Creek over 900 CFS any day. The fishing was exceptional however it was very technical. As soon as put on my waders and grabbed my rod I opened the door and was pushed by a gust of wind. I checked the weather app on my phone and it read 12mph winds for the entire day. 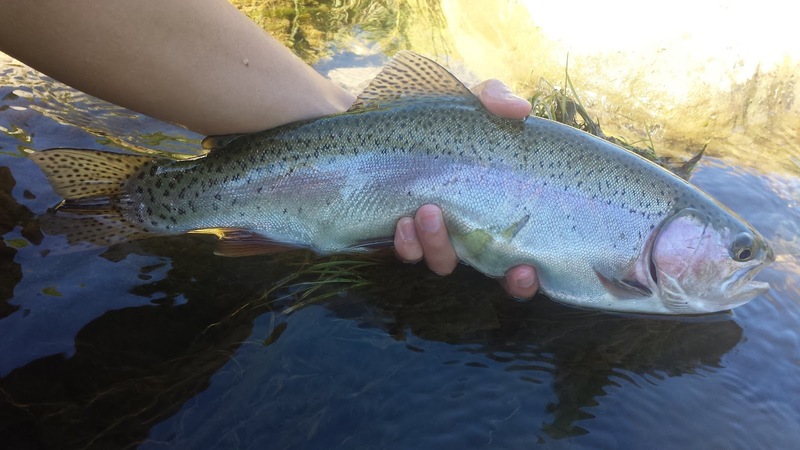 Fighting the wind with a fly rod can be a real pain but I didn't care, Putah Creek was finally ready. It took a lot of adjusting but I found the magic formula. 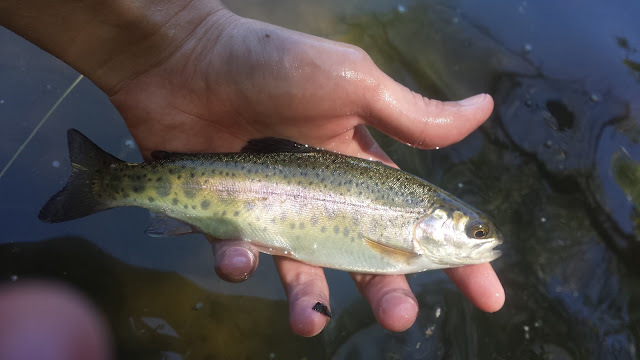 The fish were being very cooperative and I must have hooked over ten trout before I left in the late afternoon. 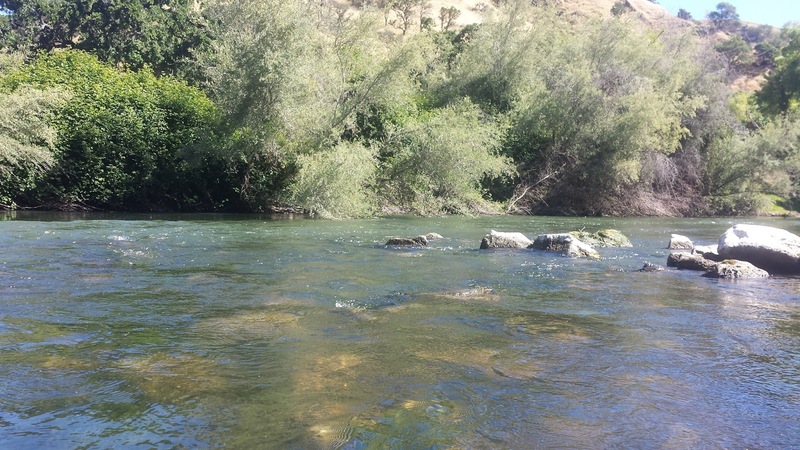 If you were looking forward to fishing Putah Creek now is the time to get out there. 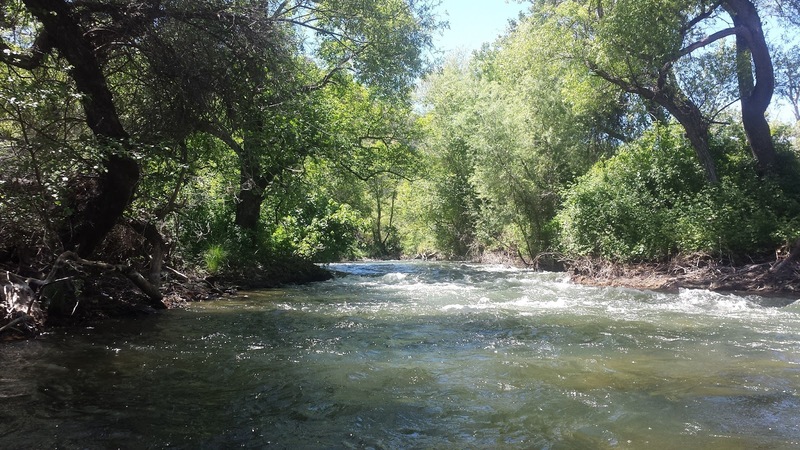 Just remember to take it easy on the wading, we're still looking at high summer flows here.